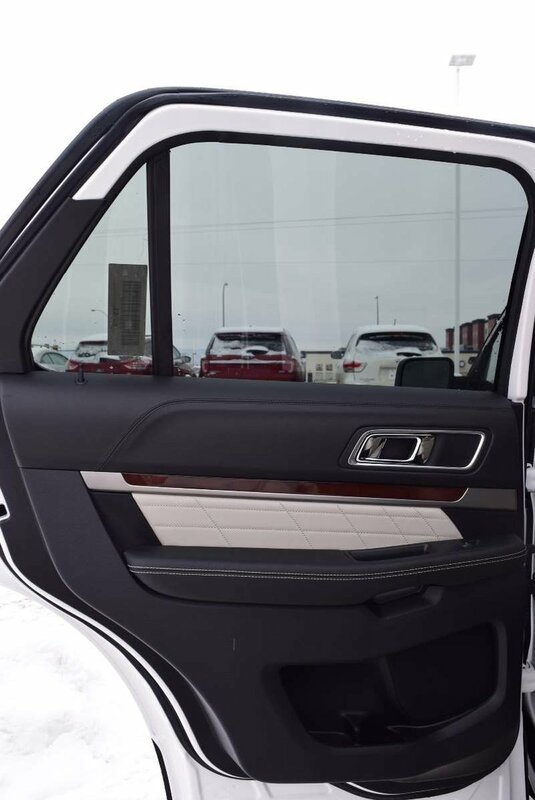 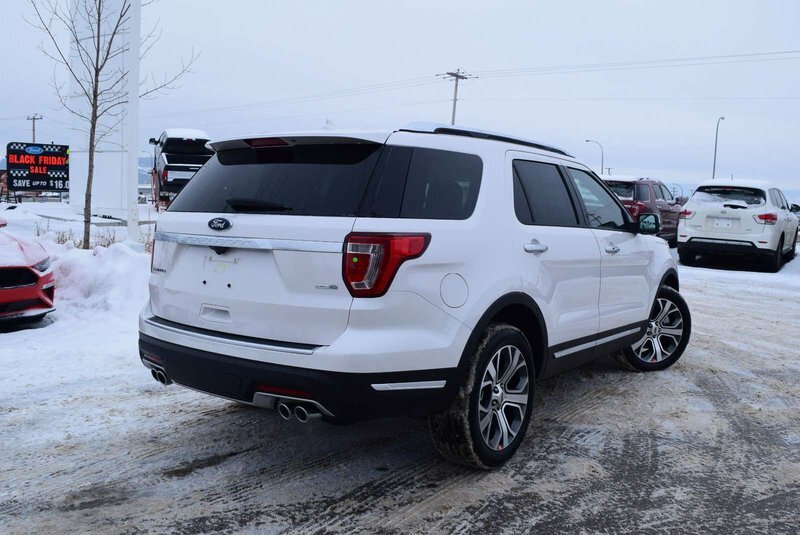 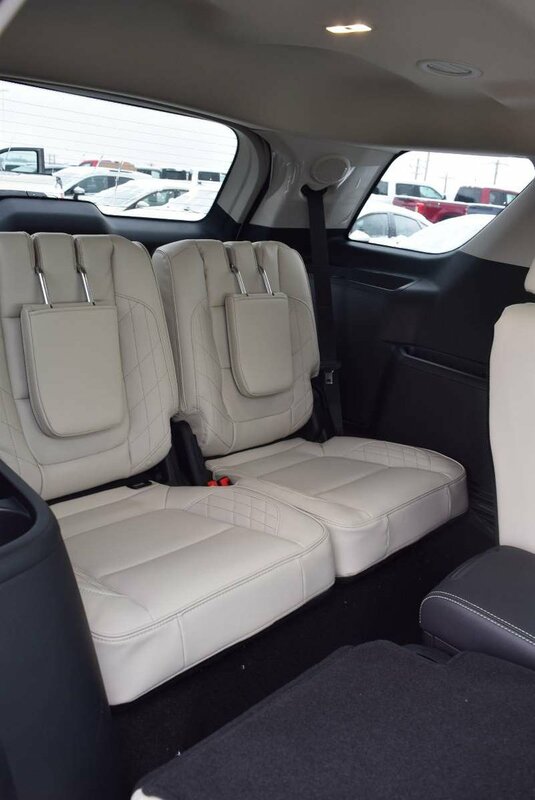 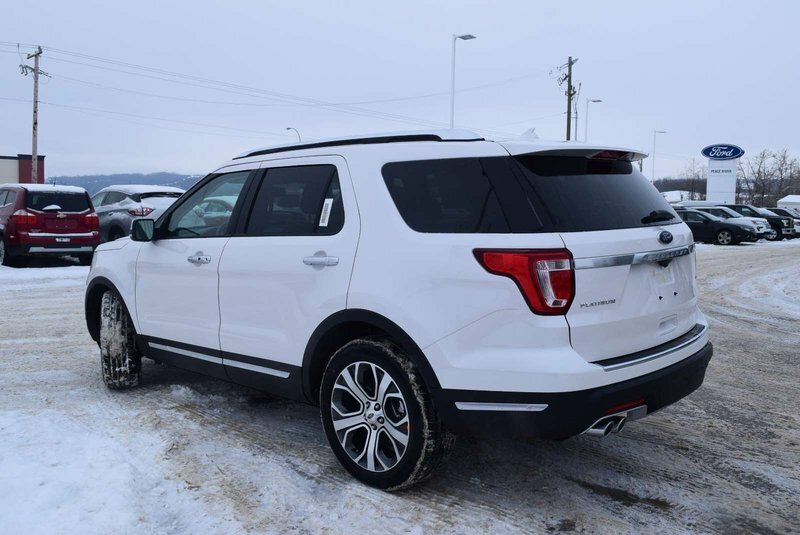 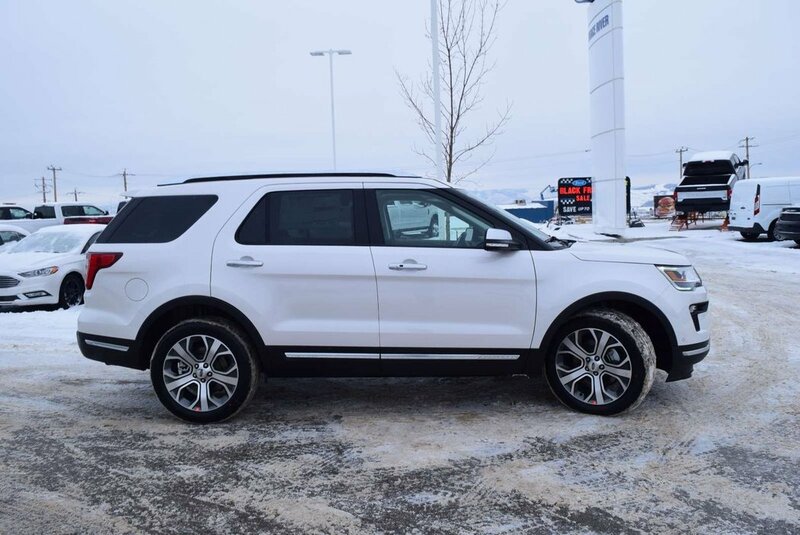 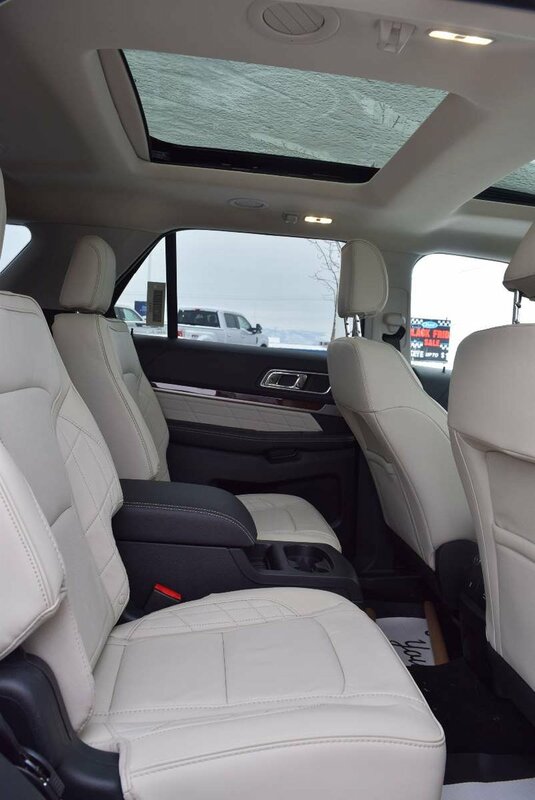 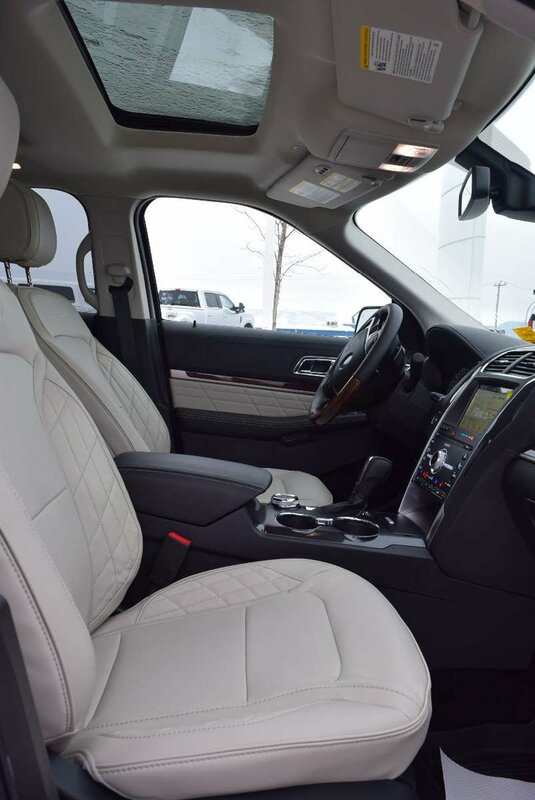 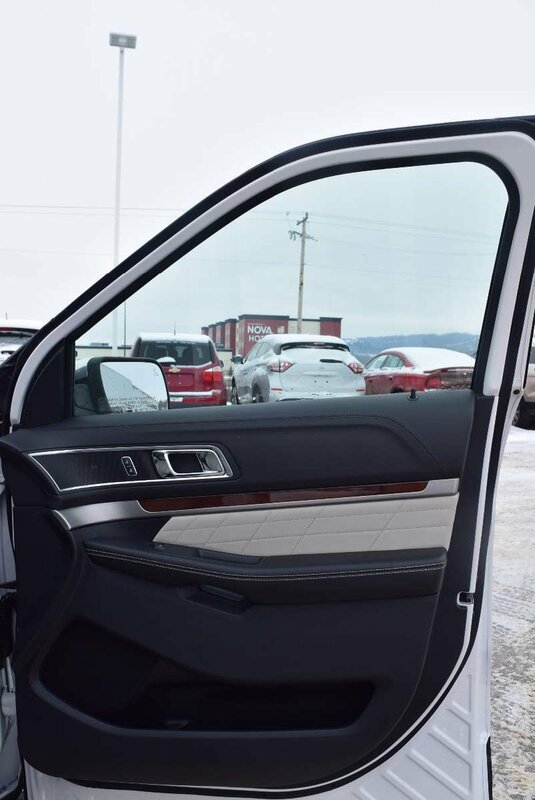 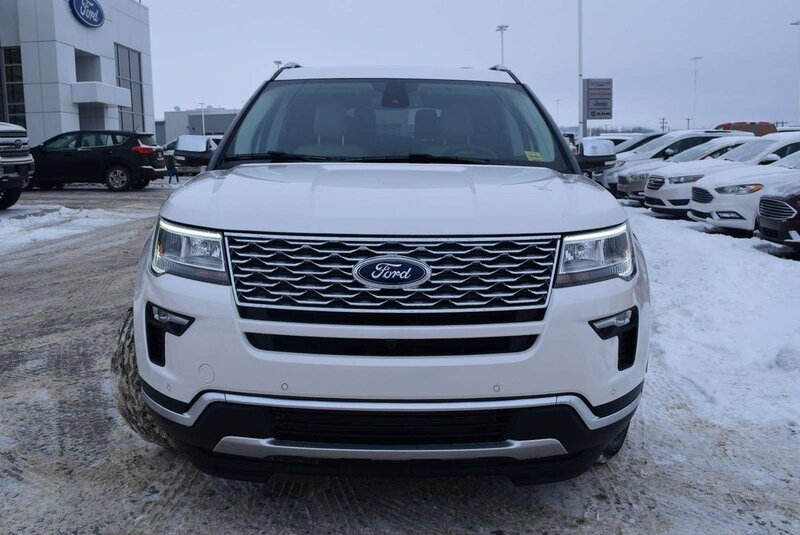 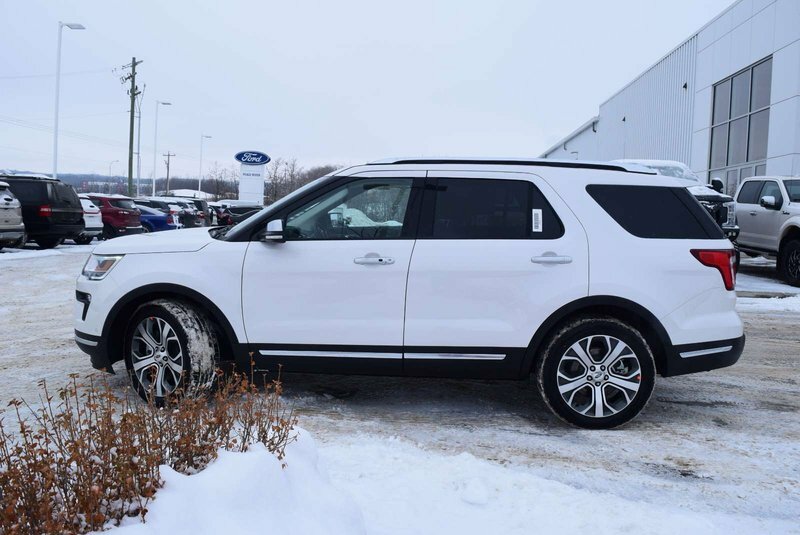 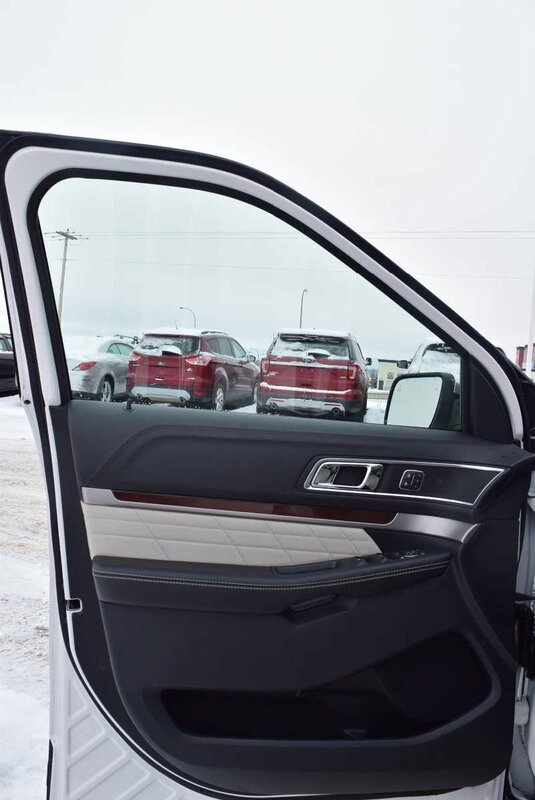 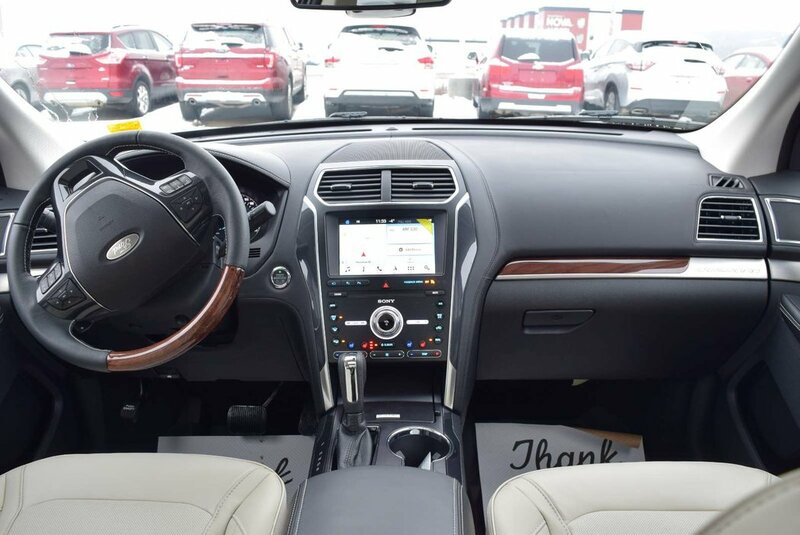 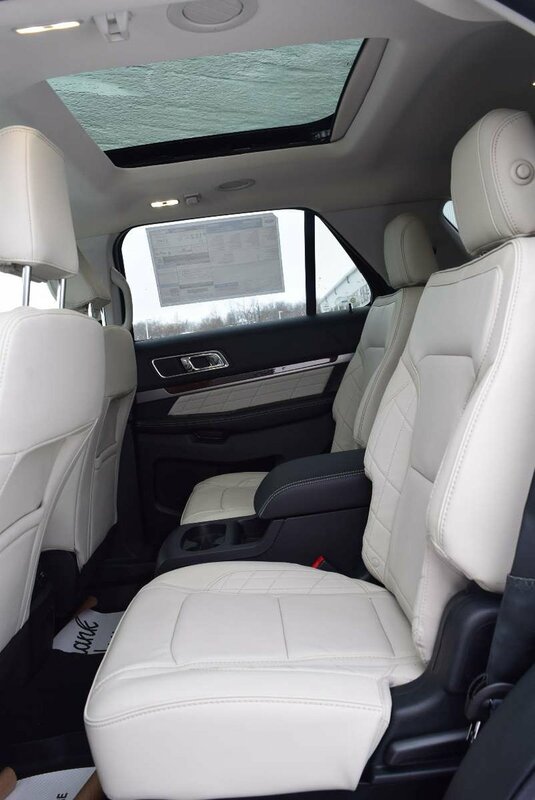 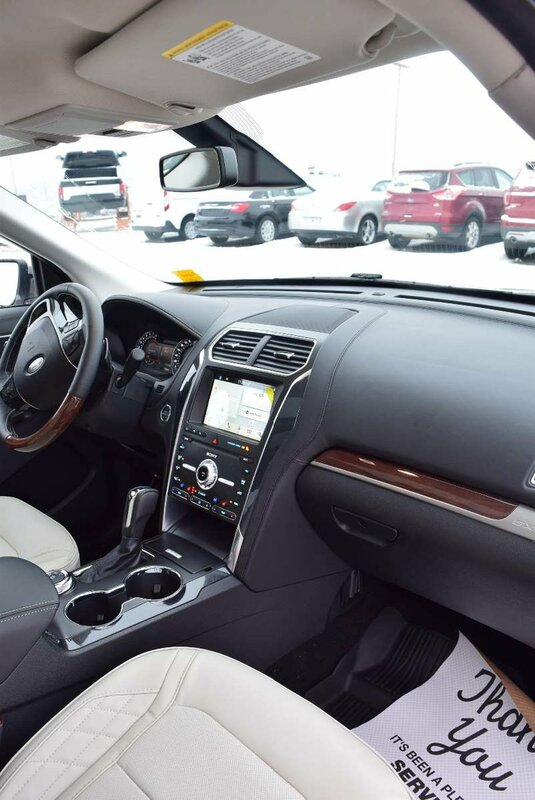 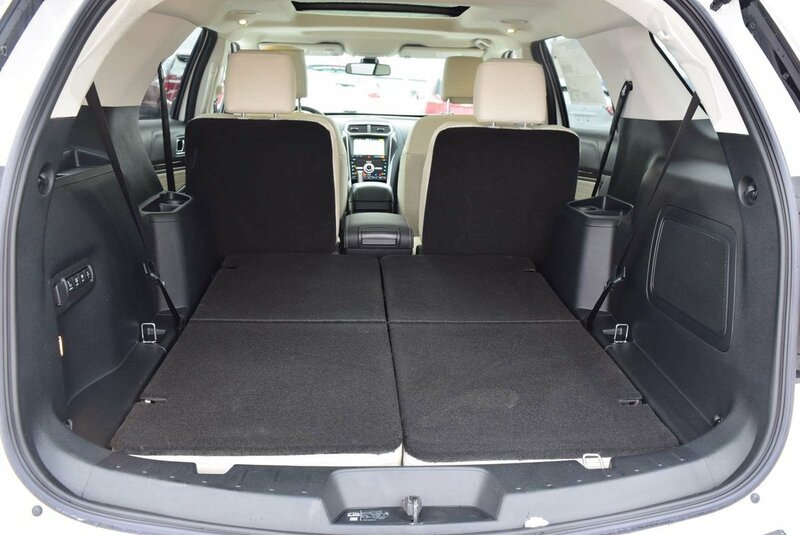 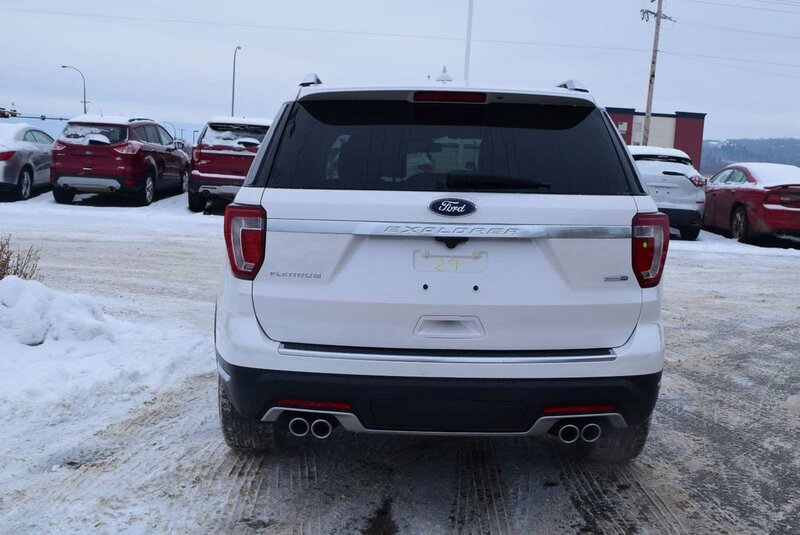 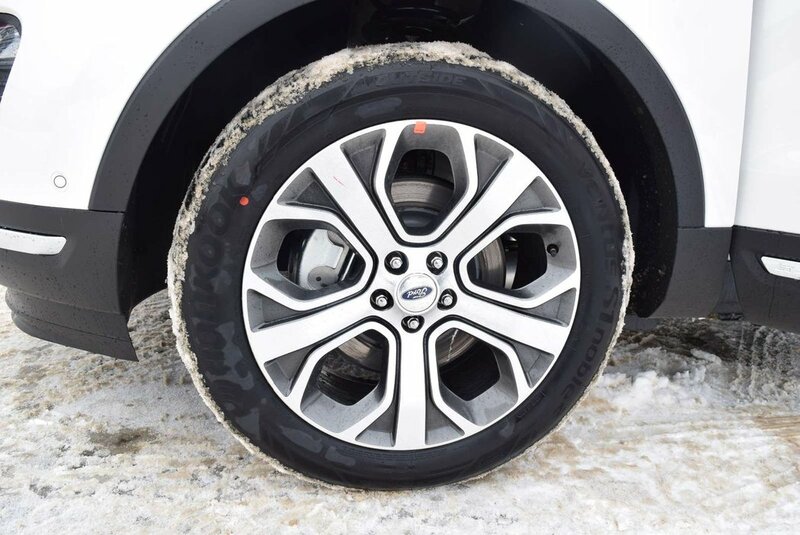 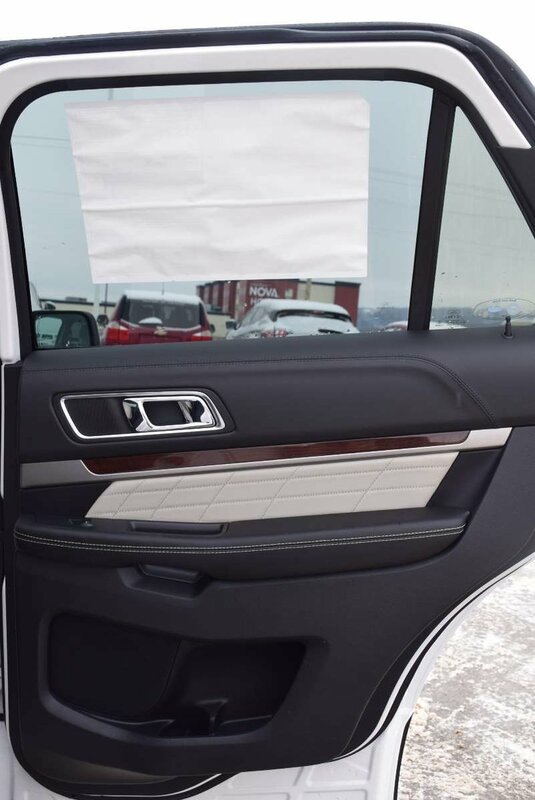 Stunning from every angle, our 2019 Ford Explorer Platinum 4WD is the best of the best presented in White Platinum! 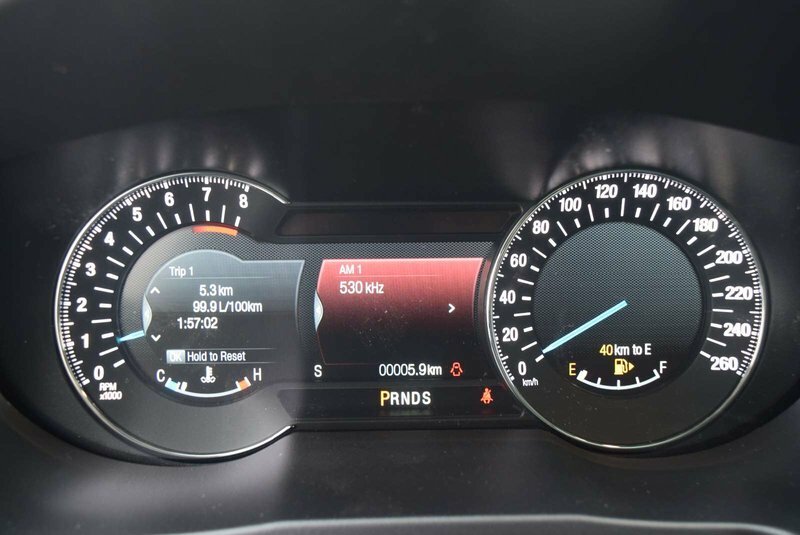 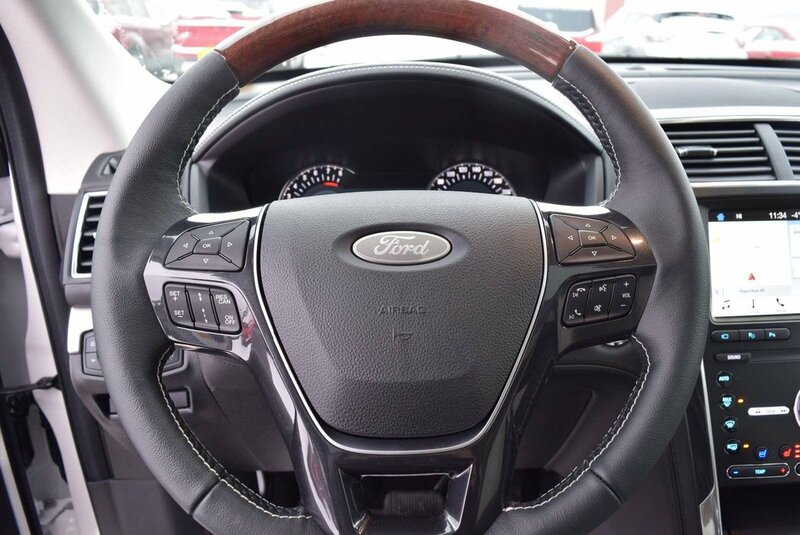 Powered by a TurboCharged 3.5 Litre EcoBoost V6 offering 365hp on demand while connected to an innovative 6 Speed SelectShift Automatic transmission. 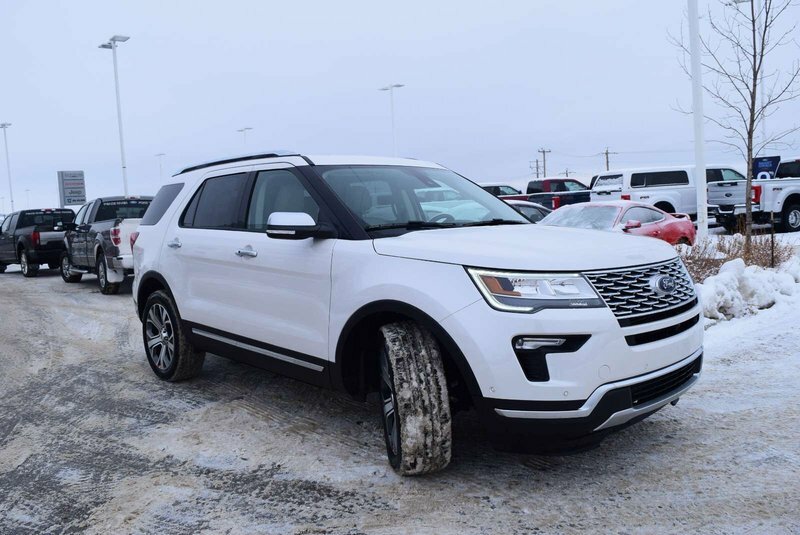 Our Four Wheel Drive delivers responsive steering and smooth handling that will have you looking for reasons to get out and find adventure while delivering near 10.7 L/100km. 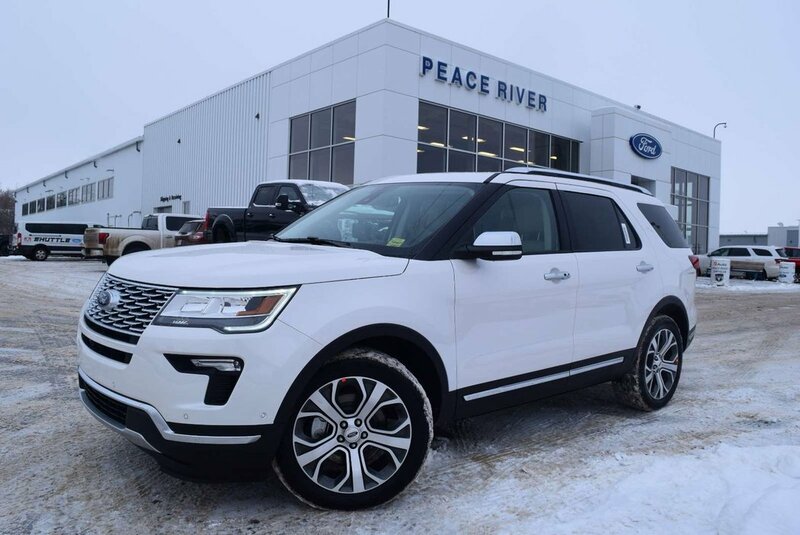 Explorer Platinum grabs attention with an upscale and bold design emphasized by beautiful wheels and a distinct grille. 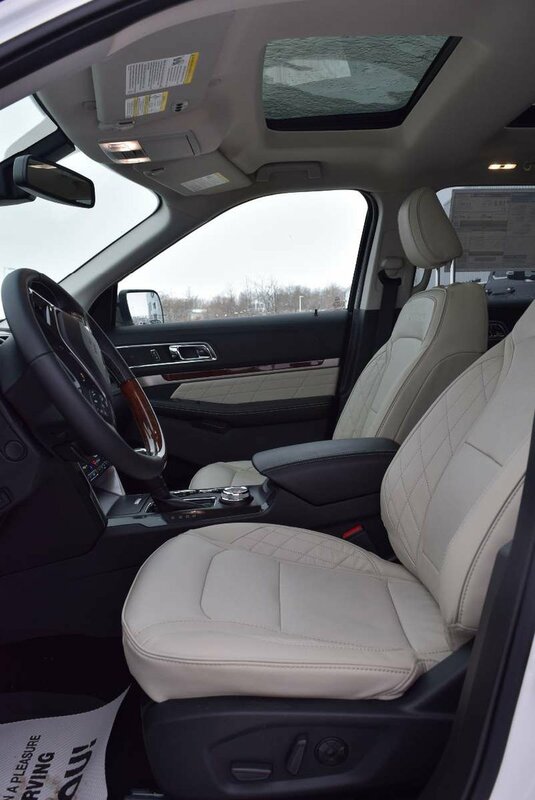 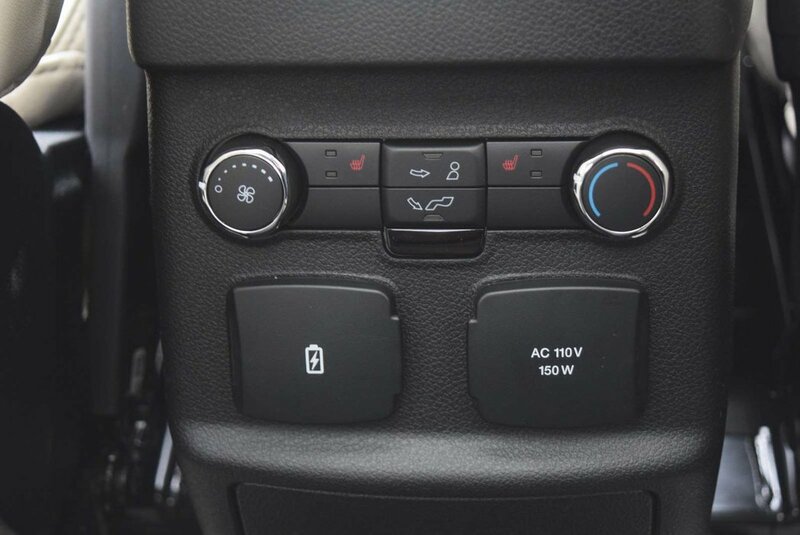 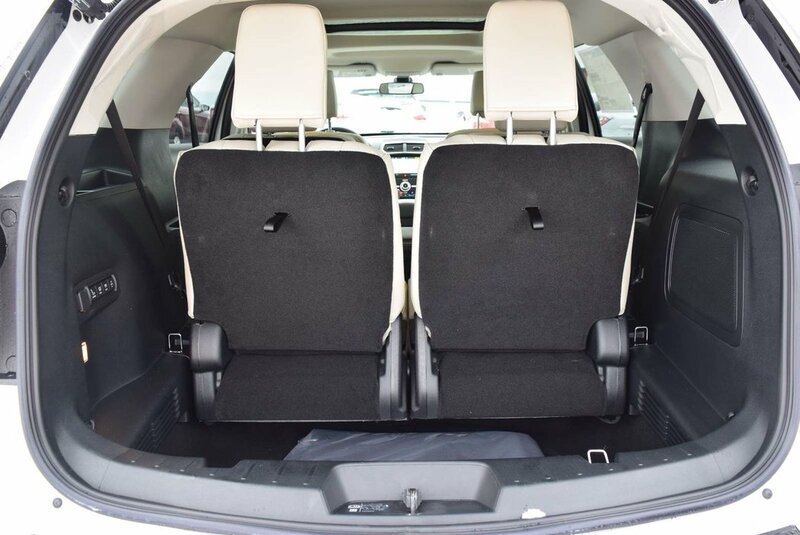 With our Top of the line Platinum, you will appreciate a wealth of amenities including remote start, a reverse sensing system, ambient lighting, and a 3rd-row power fold 50/50 split-folding bench seat. 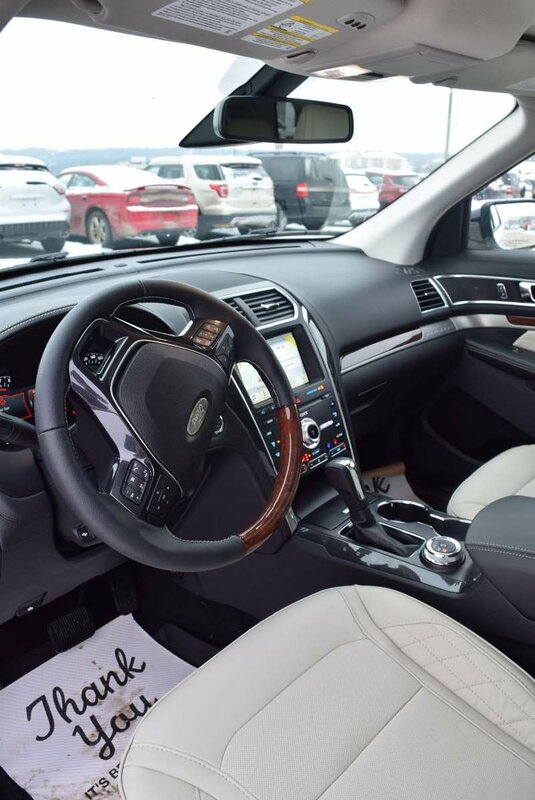 Settle into the leather multi-contour front seats with quilted inserts and enjoy the open feeling provided by the twin panel sunroof while gripping the heated steering wheel. 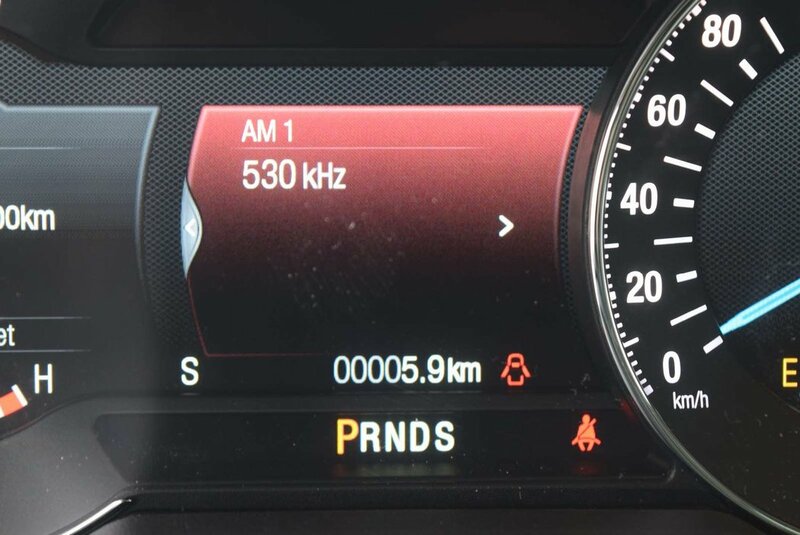 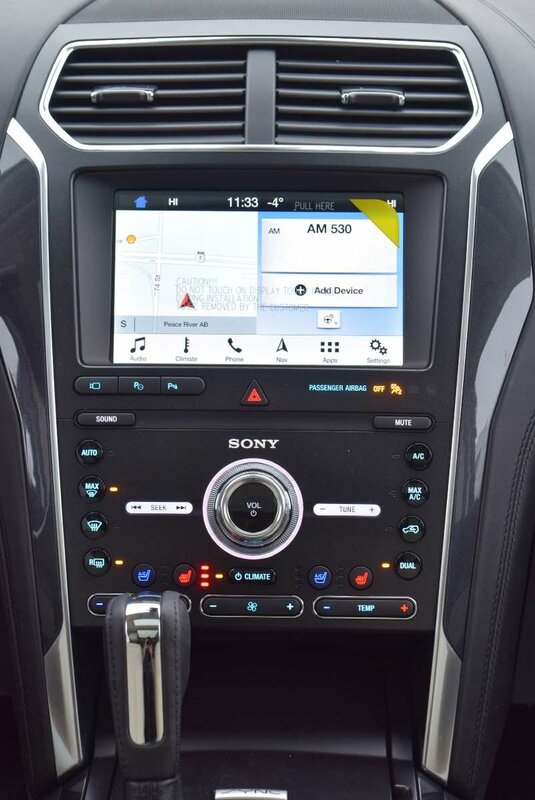 Equipped with Sony Audio with Clear Phase and Live Acoustic, Full-Color Navigation, and the Voice commanded Sync 3 with a prominent display, maintaining a safe connection is a breeze.